(Children are seen privately FREE*, when at least one parent / guardian uses Oak House for their treatment). Providing high quality private dentistry to the highest standards, at an affordable price. Denplan Excel Accredited - Quality Assured. Our small friendly, highly trained team, will put you at ease and be able to answer any questions you may have about our practice, or treatments that we provide. Emergency Advice and Care are available 24 hours a day, 7 days a week. 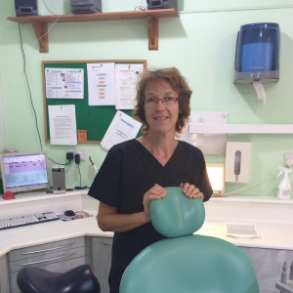 Kay qualified in London first as a Dental Hygienist, then also a Dental Therapist, which enables her to perfom simple restorations, tooth whitening, baby tooth extractions, impressions and much more, in addition to the hygiene work. Kay has 2 sons with Simon, and has a keen interest in stained glass, many of which are available for purchase in the practice! Andrew qualified from Cardiff in 1996, is married to Lisa & has 2 daughters. Andrew has a keen interest in Dog Agility, and is secretary to a local Dog Club, as well as being the Treasurer to a local Village Hall. Andrew & Lisa have been actively supporting the Smile Star Dental Charity, taking part in numerous trips to Kenya, and more recently Zambia. Their next trip is planned for November 2019 with their youngest daughter Amelia, who will be 13. Each dental consultation involves a full assessment of not only your teeth, but also the condition of your gums, as well as a full soft tissue examination. Periodic X-Rays are also taken, where necessary, in accordance with FGDP Guidelines and the Oak House Policy, to aid in diagnosis and prevention. At Oak House, we are focused on prevention, rather than intervention. We all know that prevention is better than cure. Using the latest technology to help protect you better, by scientifically predicting your risks of developing tooth decay, gum disease, tooth wear and mouth cancer and producing you an individual report. Using the latest anaesthetics available, as well as patience from your dental team, you can be assured of painfree procedures. Your clinical team will talk you through each phase of your treatment & can answer any questions that you may have. 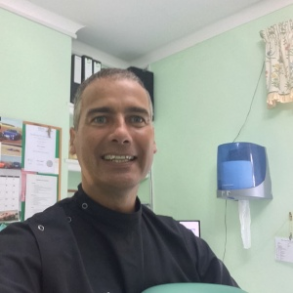 At Oak House, we can provide all your routine dental treatments; in addition to cosmetic treatments, including tooth whitening & veneers; crown & bridgework; dentures & extractions. We also work with local specialists for orthodontics and implant treatments.